We are about to explore the wonderful world of classical ballet and learn all about one of the most famous ballets ever created, “The Sleeping Beauty”. 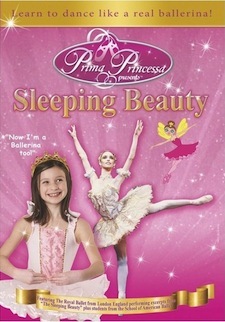 Through our 60 minute DVD “Prima Princessa Presents Sleeping Beauty” you will learn the story of “The Sleeping Beauty” and learn some basic ballet steps too. 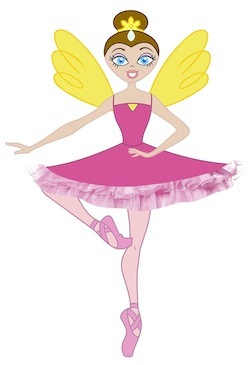 Our show features real professional ballet footage narrated by a cartoon ballerina so children can easily follow the story. The “Sleeping Beauty” is a famous romantic ballet, which celebrates the power of good over evil. This ballet is set to music written by Peter Tchaikovsky and takes place in magical royal kingdom full of fairies and fairy tale characters. This Study Guide is designed for use in conjunction with watching “Prima Princessa Presents Sleeping Beauty,” and also as a great introduction before attending a live ballet performance. Overview: This Study Guide will introduce students to the classic ballet “The Sleeping Beauty” and to all of the people who work to make a ballet happen including the dancers and those that direct them; the people who handle the stagecraft and the managerial and support staff of a ballet company. This lesson can also be used to teach children basic dance moves if an appropriate space is available. It is recommended that this Study Guide be done in 5 parts and done over 5 days in conjunction with viewing the DVD, “Prima Princessa Presents Sleeping Beauty”. Lessons “An Introduction to Classical Ballet” & “An Introduction to Classical Music” are both lessons from our “Prima Princessa Presents Swan Lake” Study Guide. If you have not done that unit we recommend that you present these lessons on Day 5 in conjunction with some of the fun Bonus Feature activities. Each viewing segments runs approximately 8-10 minutes. Watch Select Bonus Features: Choose one of the Bonus Features to watch and do one of the suggested activities to follow it. A famous Russian composer named Peter Tchaikovsky wrote the music for “The Sleeping Beauty” which first premiered in 1890 and is the second of his 3 ballets. Tchaikovsky was asked to write this ballet by the Imperial Theatres in St. Petersburg, Russia. He was asked to base his work on a story by the French writer Charles Perrault called “La Belle au bois dormant” which in English means “The Beauty Sleeping in the Woods”. Have you ever wondered where fairy tales came from? The author Charles Perault who lived in the 1600s is considered to be the father of fairy tales. Fairy tales usually have happy endings and are stories based on existing folk legends. Folk legends are very old stories people who told about elves, fairies, goblins and other sorts of magical creatures in the woods. Perault wrote many other famous stories you may know including “Tales of Mother Goose”, “Cinderella”, “Little Red Ridinghood”, “Bluebeard” and “Puss in Boots”. You may have heard of the Brother Grimm. They were 2 German scholars very interested in history. They wrote a big collection of fairy tales in 1812 called “Grimm’s Fairy Tales” in which they rewrote many of Perault’s stories. People still read this book today. In the Prologue the King and Queen are having a Christening for their new baby Aurora. It is a really big event and lots of royalty and fairies are coming to see the new baby. Accidentally, the King and Queen forgot to invite the evil fairy Carbosse. She shows up any way and is very mad. To punish the King and Queen for forgetting about her, she casts an evil spell on baby Aurora. Her spell will make is so that when Aurora turns 16 she will poke her finger on a poison knitting needle and die. Fortunately, the good and equally powerful Lilac Fairy casts her own spell which lessens the power of Carbosse’s spell. Instead of dieing when her finger is pricked, Aurora will instead and all those in her kingdom will fall into a deep sleep. Only the kiss from a noble prince will be able to awaken Aurora and the kingdom. It takes lots of people working together doing all sorts of jobs to make a ballet happen. Some ballet companies are very small with only a dozen or so people involved and some have over 200 people! When you look onstage you see dancers, but they are not the only ones needed to make a ballet. You will soon be learning all about the artistic director, ballet master or ballet mistress, choreographer, composer, set designer, costume designer, composer, lighting designer and the managerial and support staff. However, for today’s lesson, we will start by learning about those people that are involved in directly with the dancing which includes the dancers, the artistic director, composer, choreographer, ballet master or ballet mistress. In the ballet a director is called the artistic director. The artistic director oversees the entire ballet and has a hand in all the important decisions. He or she will director will choose which dancers get which parts in the ballet. Today, when you watch “The Sleeping Beauty” you are seeing lots of the original choreography that was originally developed by the famous Russian choreographer Marius Petipa. Petipa, to this day, is still considered the most important ballet choreographer of all time. A composer is the person who writes the music for a ballet. The composer will be hired by a ballet company to write the music and will be given a story or theme to use. Composers will get lots of input from both the artistic director and the choreographer. 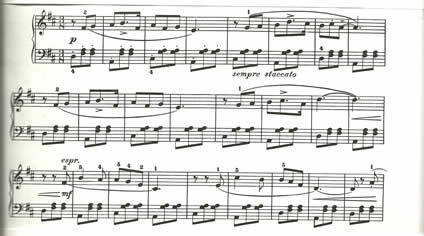 When Tchaicovsky wrote the music for “The Sleeping Beauty” he worked very closely with choreographer Marius Petipa to make sure that the music fit Petipa’s dances. Ballet masters are in charge of dancers’ practice schedules. Ballet dancers must practice lots of hours before a ballet performance to make sure that they are learning their dances and staying in shape to dance. He/she is often there during rehearsals working directly with the dancers on the dances. In Act I sixteen years have passed and Aurora is celebrating her birthday at giant party being thrown by her parents. They have invited many handsome suitors to come and meet Aurora. Guards are on the look out for the evil fairy Carbosse. All the sharp knitting needles have been removed from the kingdom for the day of the party. The evil fairy Carabosse, however, is sneaking. She sneaks into the party and when no one is looking gives Aurora a knitting needle. Aurora start to play with the gift and accidentally pricks her finger She falls down into a deep slumber. The Lilac Fairy waves her magic wand and puts the entire kingdom to sleep. You have just learned about all those involved in the dancing side of a ballet. Now it is time to learn about all those involved in the staging of a performance or the stagecraft. Stagecraft is the art of creating the settings onstage which helps tell the story to the audience. In the “The Sleeping Beauty” the stagecraft is very elaborate. Set designers, lighting designers and costume designers are some of the most important people involved in the stagecraft of a ballet. Set designers are in charge of building all the structures you see on stage. These structures are called sets. They need to make sure the sets can be moved on and off stage easily at the end of each acts. Sets help tell the story by letting the audience see where the story is taking place. In “The Sleeping Beauty” there are lots of gorgeous sets including a royal palace as well as magical forest. Costume designer come up with the ideas for what the dancers with wear depending on what their role is in the ballet. The costumes just cannot look good. They must be sturdy enough to dance in. Costumes are very important in ballet, because in ballet there is no talking. The costume help show the audience who the characters are. There are lots of different costumes in “The Sleeping Beauty” including a king, a queen and a princess and all sorts of fairies and fairy tale characters. Stage lighting is very complicated. Lighting designers have to light most scenes in a ballet differently depending on whether or not the scene is night time, day time, inside or outside. The lighting needs to light up all the dancers dancing. Lightening designers will also turn of all the lights making the stage completely black so new dancers and or sets can come on stage for another scene. It takes lots of technical skill to know where to place all the lights to light up a big stage. During the show the lights are constantly changing and are usually operated from big control panels. Lighting designers must go to school study how to do all of this. In Act II Princess Aurora and her kingdom have been asleep for 100 years. The Lilac Fairy leads noble Prince Florimund to Aurora’s beside deep within the forest. So much time has passed the kingdom is hard to find as it is overgrown with trees and bushes. When he sees Aurora he falls instantly in love with her. He bends down to kiss the Sleeping Beauty and the curse is lifted. Aurora awakens and so does the entire kingdom. Everyone is so happy to be awake again. Aurora falls immediately in love with the Prince. Soon they will be married. A ballet company has not only dancers that perform the ballets, but lots of managerial and support staff. The managerial and support staff is in charge of promoting the ballets, raising money to stage the ballets, paying all the dancers and others involved in the shows as well as many other tasks. There are many different ways to promote a ballet. Ballet companies all have websites describing their ballets and selling tickets. They can run ads for the ballets in the paper and on the radio. They will make beautiful posters to display around town promoting their ballets. Unlike lots of rock concerts and movies, ballets are often non-profit productions. Non-profit productions are productions that because they cost more to make than their ticket sales bring in, they get extra money for the show from the government and from donors. A donor is a person who gives money to a cause to help it out and gets nothing back in return. Fortunately, there are lots of people who love ballet so much they are willing to help support it with donations. In Act III the magnificent wedding of Princess Aurora and Prince Florimund is held. Many special and beloved fairy tale characters and royalty from across the land come to the wedding. It is a dream come true for Aurora and her Prince and they live happily ever after. If the Lessons “An Introduction to Classical Ballet” & “An Introduction to Classical Music” have not been covered previously while doing another Prima Princessa Study Guide you can cover them on Day 5. If they have been covered already, we suggest watching one or more of the Bonus Features and doing one of the suggested activities to follow it. This is a 3 minutes long bonus feature. It features 3 girls at a magical tea party hosted by Prima Princessa. Activity: We suggest showing this feature while the kids enjoy their own special party with cookies and decaf iced tea. A party is a nice way to end this special series. This 2 minute feature young children exploring the art of pantomime. Pantomime is the art of telling a story through body movement and facial expression only, no speech. Activity: Clear some space and let your students practice pantomime as they watch the feature. This 8-minute feature shows kids making tissue paper flowers, tissue paper butterflies, pom-pom caterpillars and fresh flower arrangements. Activities: We recommend you select one craft to do with the class. Watch this feature a few times by yourself before showing the class to become familiar with the techniques. Our favorite activity to do with a class of children is the Tissue Paper Butterflies butterflies. Butterflies appeared in the show during the Bourée Montage so it is a particular nice tie in.